' DIY Shark Shirts for Shark Week with heat transfer vinyl - Sisters, What! 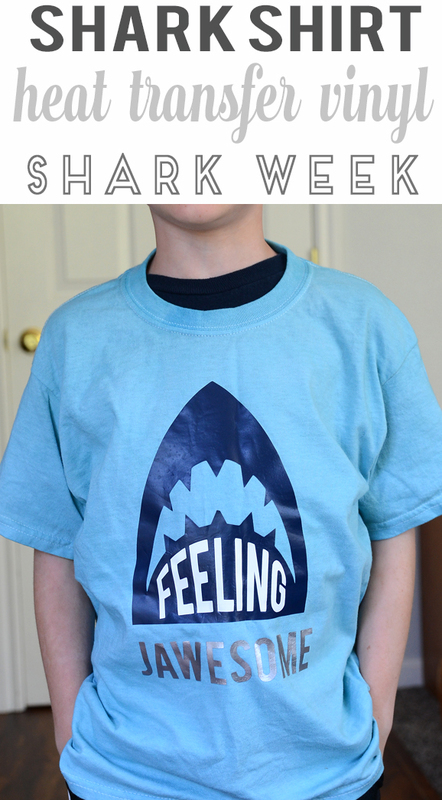 These shark shirts are easy to make using heat transfer vinyl and are perfect to make just in time for shark week. 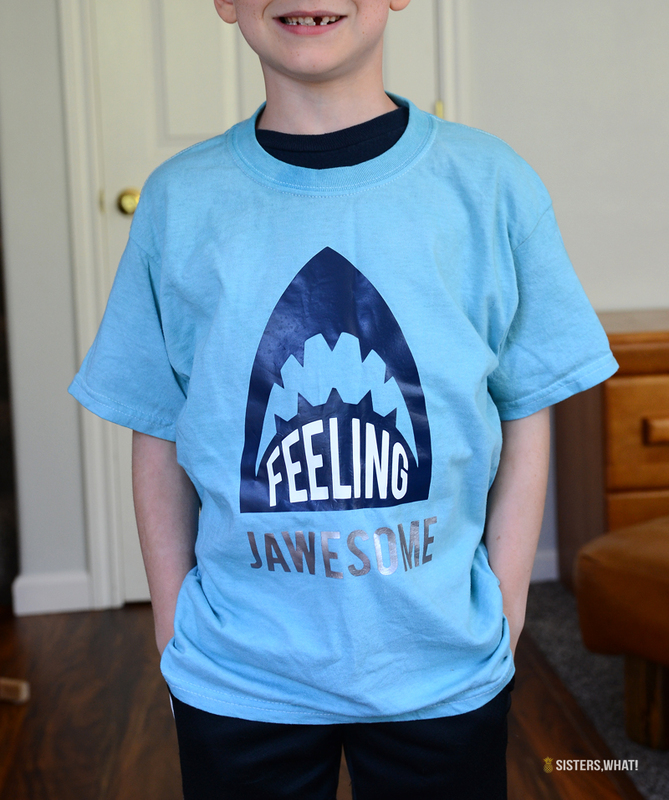 You will feel jawsome in these shirts. duh....duh...duh.......duh Before my oldest started talking in full sentences, he could hum the theme to Jaws. And no, we did not let him watch a single part of the Jaws movie, but we did teach him theme. I mean, everyone knows that is the sound a shark makes. 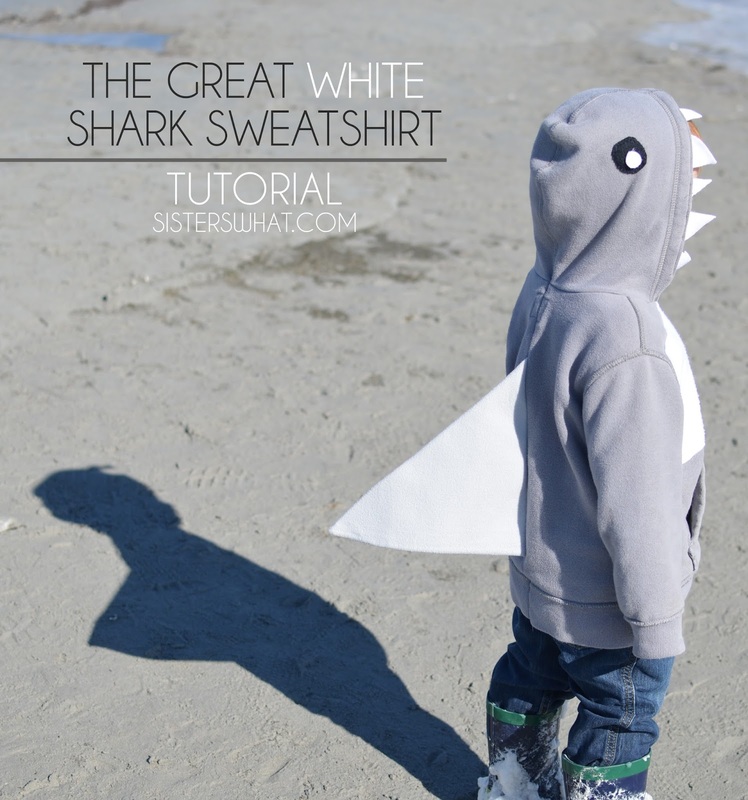 Have you seen the shark sweatshirt I made him back then? He even had a set of sharks that he could name each of the different type of sharks. So of course, Shark week is definitely a favorite week in our house. We always seem to be on vacation during that week, a couple of times it was beach vacation which made shark week even scarier! But, that never seemed to scare my kids. Thank goodness we live on the west coast in PNW where the water is way to cold to swim in. First download or design your design. Make sure you flip your image so the words are backwards, then cut for heat transfer settings. 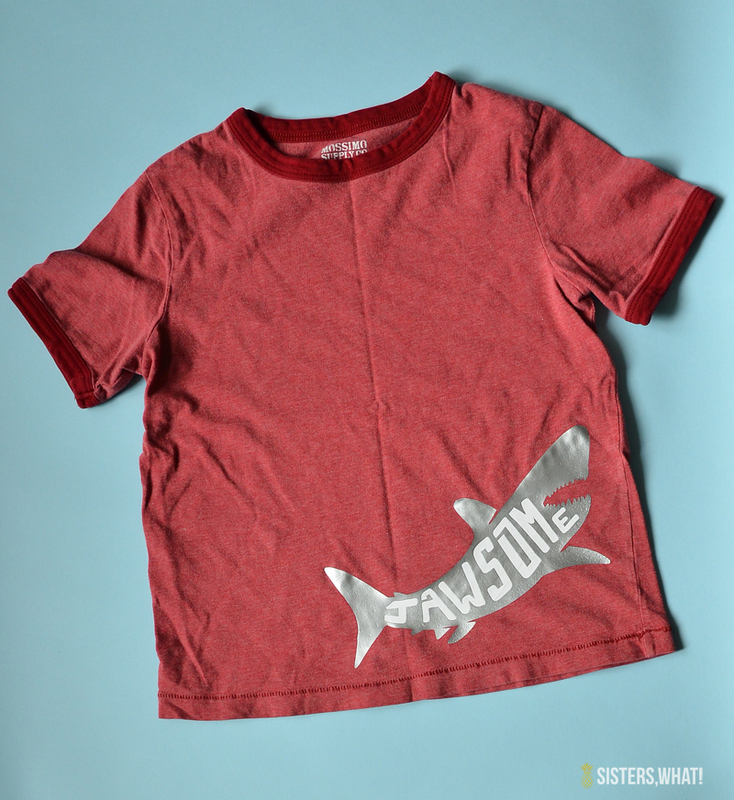 For the Jawesome, I ironed the shark first and then cut the words in a different color and the ironed on top of the shark. So easy and it looks really cool. 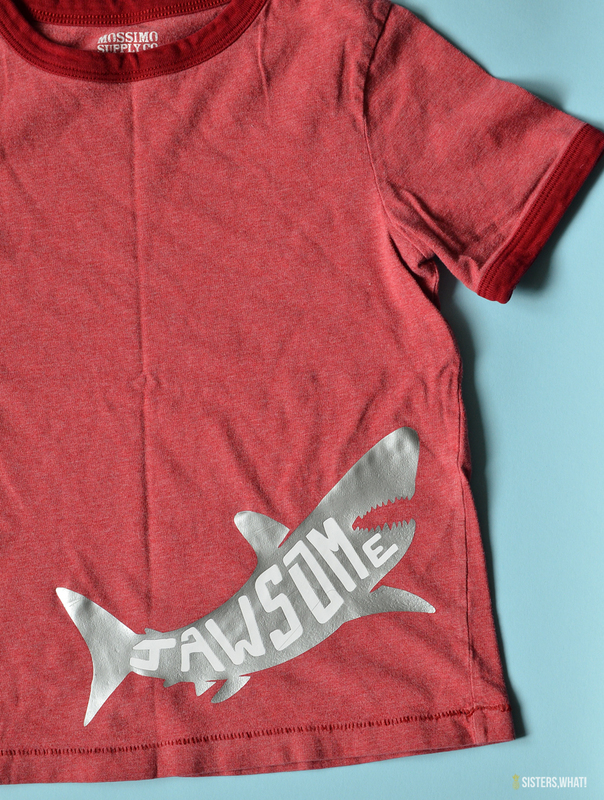 Seriously, these shirts will be perfect for shark week.